Bonjour lecteurs! Being a maman, it is easy to put others at first and forget about ourselves. Does it ring a bell, ladies? 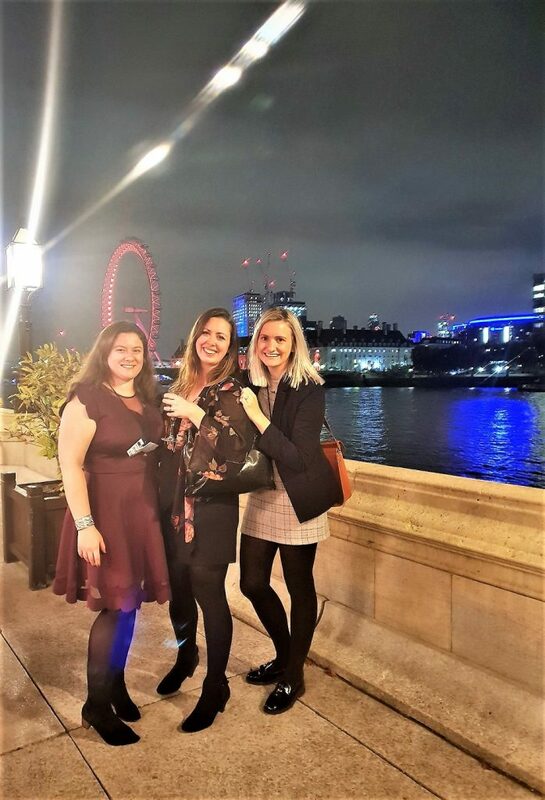 If you follow us on Instagram, you might have seen yesterday that I was attending the Women and Retirement Report Launch 2018 at the House of Lords. 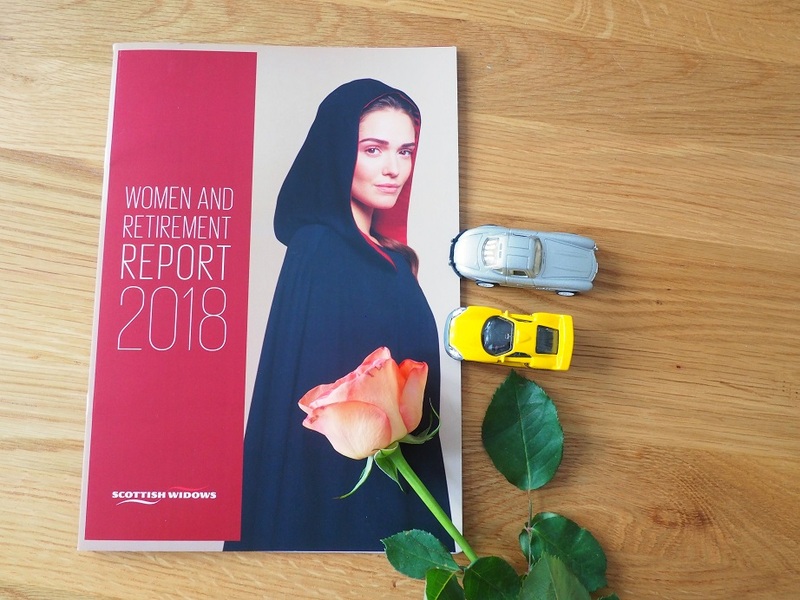 Scottish Widows research over the last 14 years has always shown that women lag behind men saving for their retirement. So where are you in your pension journey? It is time for you to #EmpowerYourFuture with Scottish Widows. Let’s forget about all the jazz that the party was yesterday (I had a great time with Sarah from The Unmumsy Mum and Natalie from Plutonium Sox). Time to think about your future, ladies! The research showed that for many women, sorting out their pension pot was the last thing on their mind. 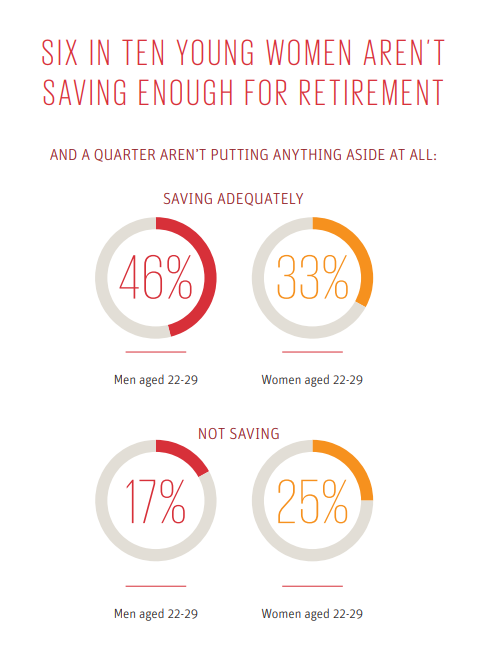 According to the report, women do not save up money for their old age early enough and therefore put themselves at risk for their future. I am sure that it all resonates with you. In your twenties, it is all about finding a job and trying to make money. L’idée of getting retired is not top of our priorité. Getting in our thirties, it is all about settling down with Mr Right, paying a mortgage and expensive childcare. So exit the pension again! As soon as I read the report, I had a look around to see what was happening in France. And I must say that the results are pretty much the same. In 2016, French women were saving 42% less than men for their pension. Argh! Unfortunately, women put themselves at risk when they do not get a pension as soon as possible. 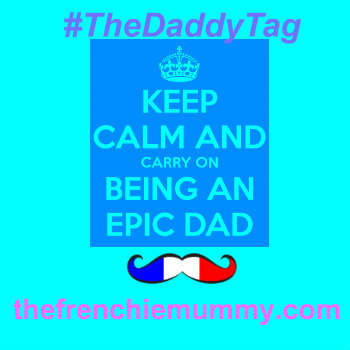 And I have a pretty clear idée why… It is all linked to the fact that we stop our career to become mums! You get a job you love and then decide to have a baby. You make the most of your maternity leave but it is soon time to return to work. you then realise that childcare costs a fortune. Not worth working endless hours because all your money would be paying for a nursery? 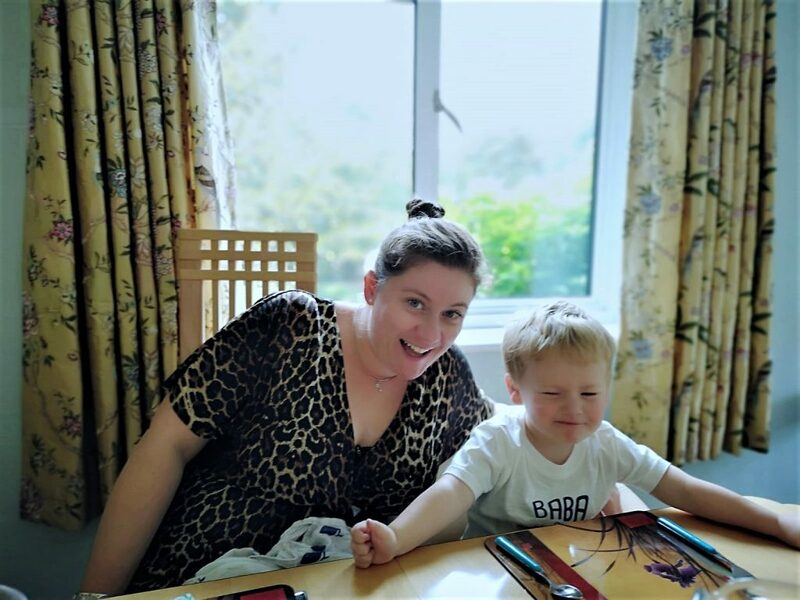 Many women then decide to become a full-time stay at home mum. And let’s be honest, money is not always available in that kind of situation. So saving up for your pension is not une priorité! The gender gap when it is about retirement is clearly here! But it doesn’t mean you can’t do anything about it. You can still start little by little. It doesn’t have to be something complicated! 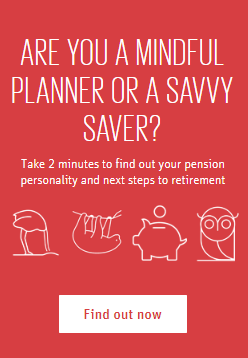 Scottish Widows has been helping people with their finances for over 200 years and has all the info you need regarding your pension with its Pension Wellbeing Hub. You can find your pension personality to see what would work for you and your family. And no pressure to save up £500 a month. The key is to get started even if it is just a little. …For You and Your Family! And by doing so, it means a safer future for you and your family! Now that I am self-employed and that I do not have a state pension anymore, I am fully aware that I need to find a new pension ASAP. And you know why? Because I want Baba’s future to be as smooth as possible. I don’t want to be dependent on him in my old age! He will have his own money worries when he is an adult and I want to be able to be financially safe! Writing those lines, I can not control myself but think of my grandmother. Thanks to her pension, we are all at peace and know that all her costs are covered. The fees to pay the retirement home are covered. So #EmpowerYourFuture today. Take control of your financial future. Have a look now at the Scottish Widows’ page. Use the calculators and explore les possibilités. Even a small contribution will make a difference! I will do it myself as I want to remain an independent woman, even in my old age! It pays to plan for the future in these uncertain times. Yes, Martin Lewis says yesterday that the percentage of your salary you save should be half your age. I’m nearly 40, so should be saving 20% – with 2 kids, I’m nowhere near that. It pays heed all the advice about pensions. I had to finish work early due to health problems but had paid into a pension all my working life. You don’t think it will happen to you until it does. I think the importance of proper planning for retirement is only now being recognised. It’s certainly worth paying attention to it. Even if it’s only a small amount, it can build quite a decent sum by retirement. I have a small pension, it’s really small, but started late and I do fear being reliant on a state pension will be hard. I do worry about finances later in life. Planning for the future is always a good idea, but is not always possible for various reasons. I am very un-adult like when it comes to pensions & retirement I just dont want to think about it or act on it atm. Very sensible advice and information. It is essential to get used to not being able to spend the amount put aside for a pension. I haven’t got a pension but it is something that i have got to look into and quickly ? It’s so important these days to have a pension / savings – wish I had thought about this when I was younger. Interesting read and not something I have thought too much about until now. Deffo important to get the youngsters saving and starting pensions early as the future is so uncertain. Only pension I have is the one the government does through your wages, I can’t afford any more. Thanks for this I really need to try and save more for the future, it’s so hard to find some spare money though. An interesting read and definitely an eye opener. Some great advice and something to think about! Thank you. I urge my children to think about the future and to plan for their retirement. An interesting read. I really must start thinking about my future. I have always been a plan ahead person when it comes to life financial planning. I have always saved for the future. Even when I was a child. My employment always included pensions plans which I contributed to. I took out additional saving plans to top up as well. Now I am retired, I am able to look after myself with plenty to spare. And yes, I am still saving for my future. I did start early saving for my retirement but then found out I’d been conned by a private pension (long story) so then just stopped. Now in my 40s I wish I’d sorted it all out in my 20s as I have nothing in place. Definitely worth planning for the future, I only wish I’d thought the same when I was younger! Those retirement stats are crazy! What a worry that is. Sadly we have no savings, but once i’am back at work full time we will most certainly be putting money away each month. I pay into my workplace pension, but I’ve calculated online and by the time I retire it won’t be worth very much! It definitely pays to plan ahead because I can increase the amount I pay into my work pension so I can have a better future. I’m still really young, but it’s always worth thinking about! This is such an eye-opener. It’s something I’ve always struggled with and I think it’s important to educate our own children on planning financially for the future. Planning is key and I always remind my Son of this. You never know what can happen in the future. Previous Previous post: Cuckooz Nest – A Fully Flexible Co-Working Space for parents!